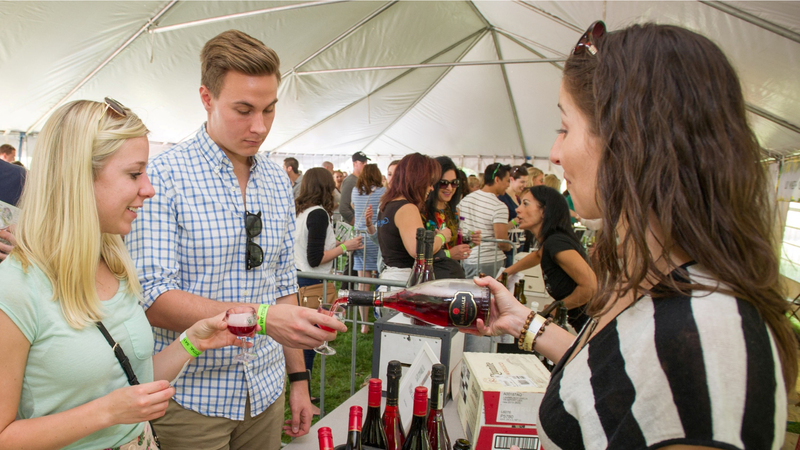 Celebrate fermented grapes with the return of the Lincoln Park Wine Fest, featuring more than 80 varietals from across the country and the world. New this year: a pair of evening tasting sessions. Experience the 1893 World’s Fair at Revel in the White City, a virtual simulation of the World’s Columbian Exposition. To mark the 125th anniversary of the storied event, Chicago historian Tim Samuelson and UCLA’s Lisa Snyder (who created the simulation) will narrate the tour. Pamper your pooch this weekend at Bark in the Park, where your fur baby can get doggie massages, try his paw at a canine agility course and learn from some of the city’s leading dog trainers. An optional 5K walk kicks off the event, which benefits The Anti-Cruelty Society. Pause your beach bod exercise routine (there’s plenty of time for that – if that’s your goal) and feast on grilled cheese, pierogis, tacos and doughnuts at the Lincoln Park Zoo Food Truck Social, an after-hours party held on zoo grounds. Extras include activities and DJ music. Drinks also available for purchase. Stand-up comedians, musical sketch comedy groups and nerd-themed belly dancing and fire spinning are among the highlights at the Chicago Nerd Comedy Festival. Headliners include Tamale Stepp (Friday), who was voted runner-up for Chicago’s Best Stand Up Comedian by the Reader, and WGN Radio’s Patti Vasquez (Saturday), who has toured the country and appeared in HBO’s Las Vegas Comedy Festival. The event wraps up Sunday with a trio of free panels on comedic podcasts, including a session with Caitlin Rosberg on the comics industry. Celebrate independent publishers at the ninth annual Chicago Zine Fest, where more than 250 artists and creators share their stories, knowledge and love of zines (aka fan magazines). The two-day fest kicks off Friday evening with a panel discussion and readings in Uptown; the main event – featuring workshops, a zine swap, exhibitors and more – takes place Saturday in West Town. Discover the tastes, sounds and sights of dozens of cultures around the world at the 28th annual Skokie Festival of Cultures. Programming includes ethnic folk music and dancers, a bazaar, food and beer vendors, arts and crafts, displays and more. Celebrate Illinois Craft Beer Week at Beer Under the Glass, where you can sample brews from more than 100 Illinois and out-of-state craft breweries. Admission gets you after-hours access to the conservatory’s indoor collections and outdoor gardens. Party under the big tent at Mayfest while sipping adult beverages, noshing on festival food and rocking out to a dozen bands, including Sixteen Candles (Friday), Too White Crew (Saturday) and Rod Tuffcurls and the Bench Press (Sunday). The best foods are dipped in chocolate or (let’s be honest) entirely covered in the stuff. Get your fill of savory and sweet chocolate-tinged dishes from pudding pops to burgers lathered in barbecue chocolate sauce at Chocolate Fest.